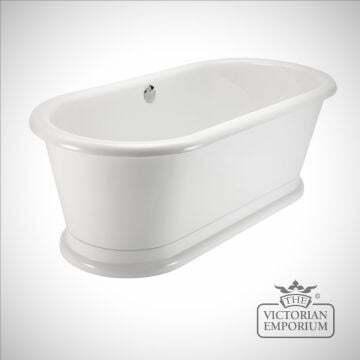 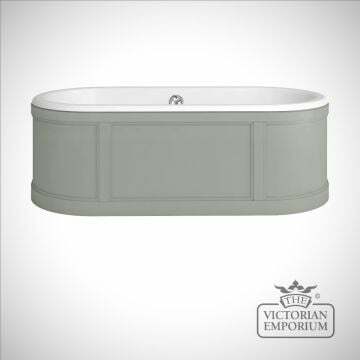 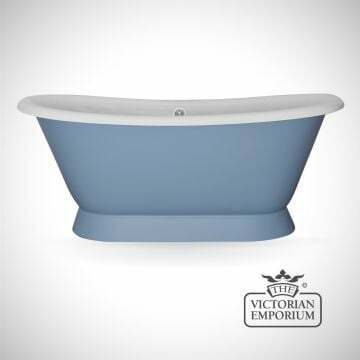 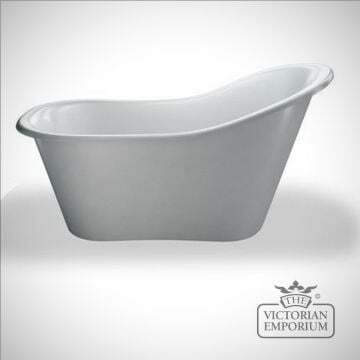 This is a classic soaking bath that can be painted on site and is supplied with a one piece panel. 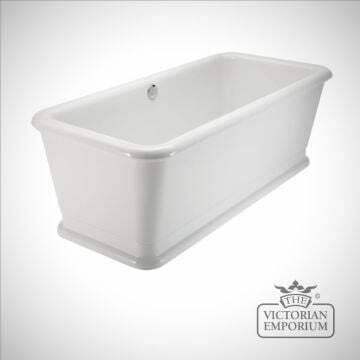 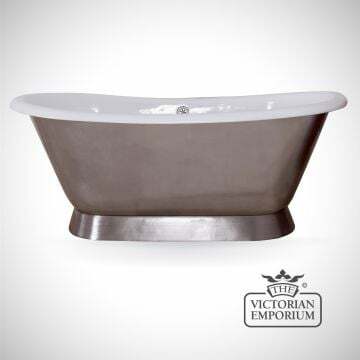 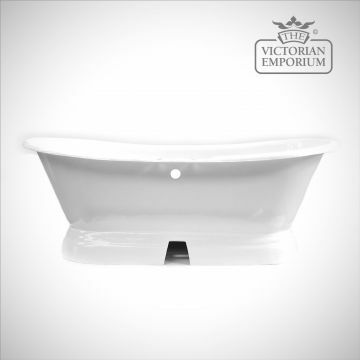 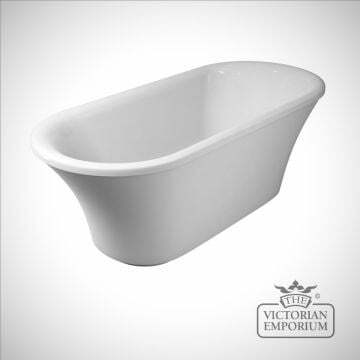 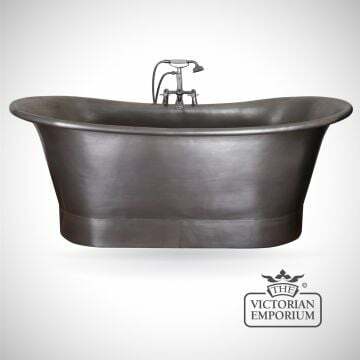 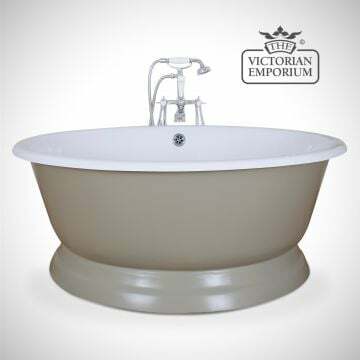 This simple large cast iron bath without tap holes can be painted any colour of your choice on the outside. 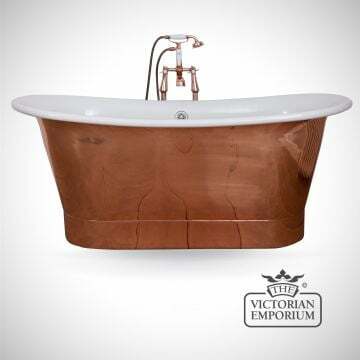 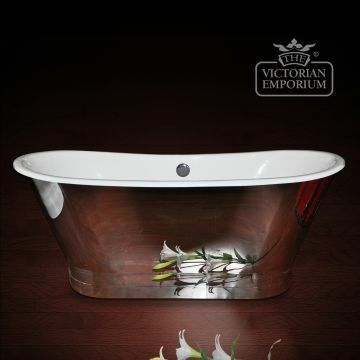 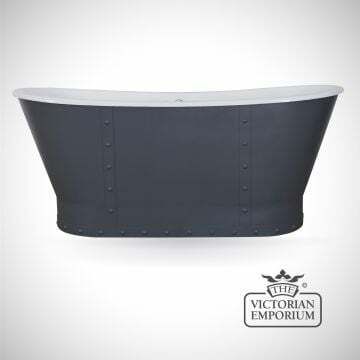 Enamelled cast iron traditional bath based on bateau style from 18th century France. 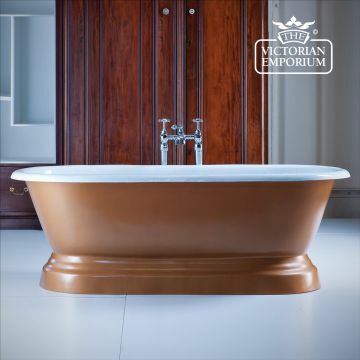 Art deco style plinth bath. 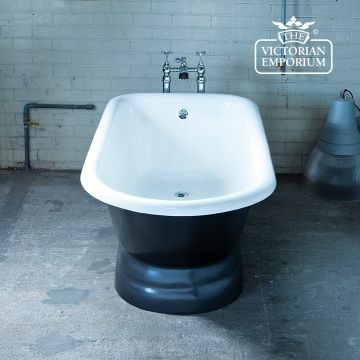 Enamelled cast iron French bateau style bath.